Rodrigo Duterte’s first year as president of the Philippines should never be forgotten – for all the wrong reasons. For those directly affected by his brutal and lawless “war on drugs”, which has claimed the lives of thousands of people, the only hope is for an end to the suffering. But in the absence of a clear international declaration against Duterte’s disastrous regime, that hope is in vain. The sad fact is that much of the suffering Duterte is inflicting was entirely predictable. 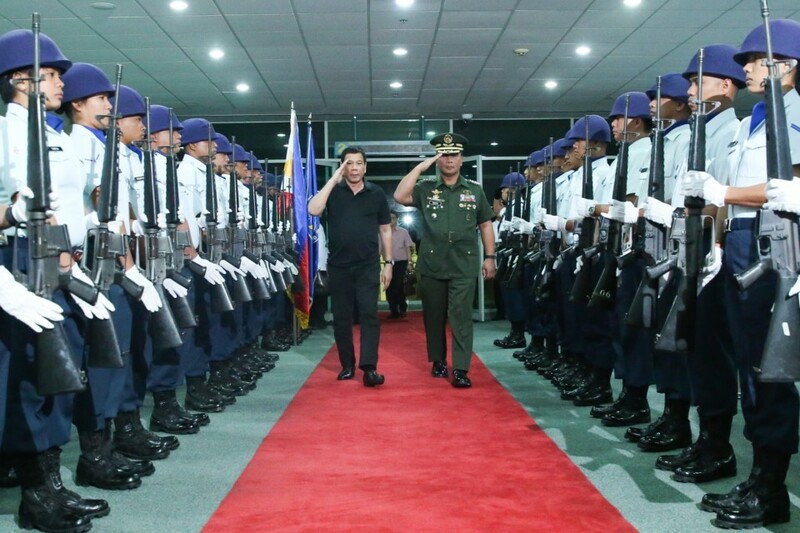 The Philippines’ human rights institutions are fragile, and Duterte came to office with a well-known record as a mayor who sanctioned death squads to dole out vigilante justice in his city. But the international community failed to respond to his election with due alarm, and it is still failing to realise the sheer destruction the Duterte administration is causing. How bad will it need to get before other nations back away from him? Nominally aimed at tackling a much-hyped but poorly understood methamphetamine “crisis”, the scores of extra-judicial killings have resulted in little capture of the networked organised crime Duterte says is behind the “drug menace”. Instead people are gunned down in the middle of the street by vigilantes or by an increasingly brazen police force, whether during arrest or in custody. Their corpses are left in the street, sometimes with a cardboard sign saying “drug user” or “pusher”. ALSO READ: New tourism video: Apparently, it's still "more fun in the Philippines"
This is a matter of social cleansing, with many of the victims among the poorest people in Filipino society. And yet many nations refuse to sign a UN declaration condemning the policy. During the second half of 2016, Duterte exploited his country’s rising importance to the US by coarsely insulting Barack Obama with impunity. But Trump couldn’t care less about Obama’s “pivot to Asia”, and Duterte has duly pivoted to public words of admiration. Trump returned the favour by praising Duterte for his “unbelievable job on the drug problem”. So far, Western powers have failed to show much care for the Philippines’ dire human rights situation. While the EU has perhaps been the most consistent and high-profile Duterte critic, one of its members has been particularly unhelpful. Britain’s grovelling post-Brexit vote trade visit signalled it is perfectly ready to deviate from the EU’s collective stance against human rights abuses once it quits the bloc. As if that wasn’t bad enough, the UN high commissioner for human rights had to admonish Britain’s prime minister, Theresa May, for comments about human rights getting “in the way” of the fight against terrorism. It was a “gift to despots” said the commissioner. It is a gift to Duterte, and it only makes the situation worse for Filipinos, who are forced to bear the brunt of his violent rule. It doesn’t have to be this way. Duterte is vulnerable and sensitive to foreign criticism, and has little with which to protect himself other than insults. Yet countries such as Australia and the US are providing military assistance to Duterte apparently without applying any serious pressure. Their help with airborne intelligence and “special forces liaison” is offered on the pretext of fighting a local militant group supposedly linked to IS, now laying siege to the city of Marawi. It’s one thing to overlook Duterte’s war on drugs to help him fight a violent insurgency notionally linked to the so-called Islamic State (IS), but even that flawed alliance has its problems. How can these countries defend their support for a leader who publicly says he is willing to kill civilians – in direct opposition to international humanitarian law? Duterte is using IS as a pretext for more abuses, and headlines linking the situation in the southern Philippines to IS with little to no evidence play into his hands. But alas, this tendency has a long history. The Philippines’ half-century-old Muslim insurgency has repeatedly been spuriously accused of links with global militant Islamist networks, notably al-Qaeda during the US’s own post-9/11 “war on terror”. Now, the same claims are simply being rehashed to fit the narrative of a new global threat. Those nations with interests and relationships with Duterte deserve to be held to account for their silence and tolerance of his crimes. They also need to wake up to the consequences of their inaction. Both the International Criminal Court and the UN’s rapporteur on extra-judicial killings have had Duterte in their sights for much of his first year – if not since his time as mayor. If Western nations want to uphold the legitimacy of these institutions and the values of universal human rights, they must support them and help put pressure on this calamitous despot.